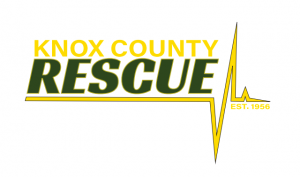 This program provides emergency primary vehicle rescue services and water rescue services for Knox County. It also provides specialized rescue service for Knoxville and Knox County including cave/vertical, support, heavy rescue, trench, and search services. What happens when a Knoxvillian finds themeselves or loved one in a crisis that requires a specialized rescue like a water, cave, trench, or search rescue? As soon as Knoxville Volunteer Emergency Rescue Squad, Inc. receives the call, they’re ready to respond.